April 3, 2019 - The annual spring show of the National Scrip Collectors Association will be held on April 5-6 in the Appalachian Room of the Country Inn & Suites on Harper Road in Beckley, West Virginia. The show is free and open to the public. Fayette Countian Kevin Andersen is editor of “Scrip Talk,” the quarterly newsletter of the National Scrip Collectors Association (NSCA) and he explains scrip to those who are not familiar with the method of exchange. 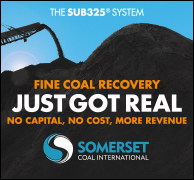 “Scrip was the primary form of exchange for many miners here in West Virginia as well as many other coal mining states,” Andersen said. “Most scrip was made of metal and resembled coins in denominations ranging from 1 cent through $20, though $1 and $5 tokens are usually the highest denominations encountered. 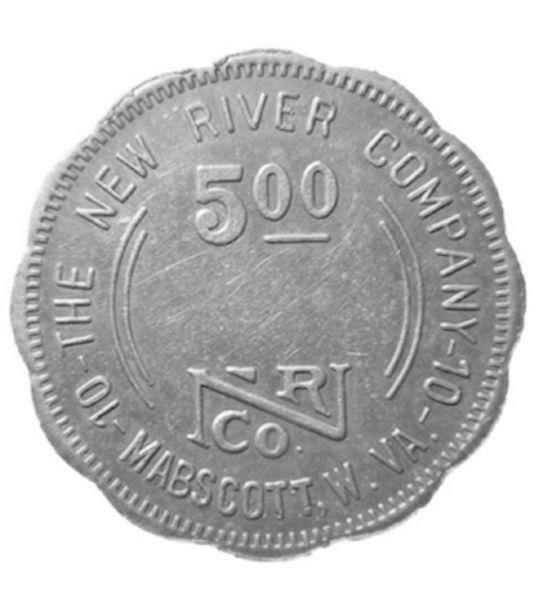 Scrip similar to this piece issued by the New River Company at Mabscott will be among the items on display and for sale or to trade at the National Scrip Collectors Association’s annual spring show. “Scrip was issued to miners as an advance of their pay and could be used to purchase products at the company store. 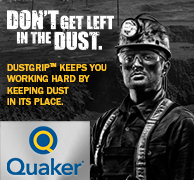 The company store offered just about anything a miner’s family would need,” Andersen said. He said the archaic form of payment is still a topic in a world where electronic forms of remittance are more and more popular. Although based in Kentucky, the NSCA holds a show each spring in southern West Virginia, and Andersen says it is the perfect outing for someone who is curious about scrip or interested in learning more about how it was used. “This show is a great opportunity to not only learn about scrip, but also get started in scrip collecting or, for the advanced collector, perhaps even add a token or two to your collection. Collectors and dealers will be arriving throughout the day on Friday, April 5 from 10 a.m. to 5 p.m. and Saturday from 9 a.m. until 2 p.m.,” Andersen said. The show also is a a good opportunity for those who would like to sell, trade, or buy scrip, lumber tokens or merchant tokens, according to Andersen. For more information, visit the website at nationalscripcollectors.org.